You make a financial investment when you buy hearing aids, so take steps to keep them safe as you jet around the world. Sometimes getaways are not as worry-free as you would hope. Taking precautions to protect your hearing aids will give you one less thing to be stressed about while traveling. When heading out, are there any special precautions to take for the protection of your hearing aids? Make certain to bring along a full cleaning kit to start with. Keep cleaning your hearing aids the same way as you would when you are at home. A brush or pick comes with the majority of brand name cleaning kits. When you’re not wearing them, you need to put them in a case for storage. Also, bring along a soft cleaning cloth to wipe them down. It’s a good strategy to bring along replacement batteries, as well. Odds are you’ll be using the hearing aids longer than usual, so it’s good to have a backup. If your hearing aids have rechargeable batteries, bring an additional charger, too. Every now and then items get misplaced so carry your replacement charger in a separate bag. Make a checklist of all the things you use at home before you leave and check twice to be certain that you have everything with you before you pack up the automobile. You never know for sure exactly when you might actually need one of your hearing aid supplies, so put them in an easily accessible spot. Carry on luggage is the best spot to keep these things when you are flying on a plane. Before leaving Make Sure You Have Your Hearing Aids Checked and Cleaned by a Hearing Aid Professional. Bring your hearing aids in for a good cleaning and tune-up a week or two before vacation. While traveling it’s necessary that they are correctly functioning. Ask your retailer about any warranties you may have on the hearing aids and bring any paperwork with you in case something goes wrong. Don’t inadvertently void your warranty by skipping something. Take the time to learn to file a claim. It won’t hurt to find out if there is a retailer near where you will be staying, also. Or research hearing aid repair or retailers by yourself. If you require a replacement battery or some repairs, it will be possible to bring it right in. Considering all of the changing security specifications, going to the airport is always puzzling. When you are going through the security checkpoint, wear your hearing aids. Inform security that you have a hearing aid as you approach so that they know ahead of time. most of the time, you will not have to remove them when you step through the metal detector, but follow the directions of the security agent. It’s also not a problem if you wear your hearing aids on board the plane. Usually, you may be required to turn off cell phones and mobile devices when taking off but your hearing aid can stay on. Be ready because sometimes your hearing aid doesn’t work quite as well on the plane. If you are having trouble hearing, use visual signs to let people know. If you can’t understand what someone is saying, try cupping your ear to let them know. Vacations usually go hand in hand with swimming and humidity. Even if you aren’t planning on going swimming in a pool or going in the ocean, it is a good idea to bring a way to dry out your hearing aids during the night to avoid water damage. A dryer is a preventative measure worth having all year round, but it’s particularly important when you travel. Different features work best in different environments. For instance, you’ll need to filter out background noise in a restaurant or at a theme park. You will have more fun at the beach if you use outdoor settings. You won’t know for sure what feature to use if you are not familiar with how your hearing aid works. A remote microphone will come in handy in loud environments, when driving in the car, or if you are on an airplane. When you are talking with someone, clip the mic to them and you will be able to hear them better. Popular vacation venues commonly have accommodations for the hearing impaired. Since you won’t be wearing your hearing aids during the night you will want to take advantage of that. Smoke alarms which shake the bed or have flashing lights should be available. Closed caption televisions and special phones can be requested. Vacationing is enjoyable, but it can be frantic, too. 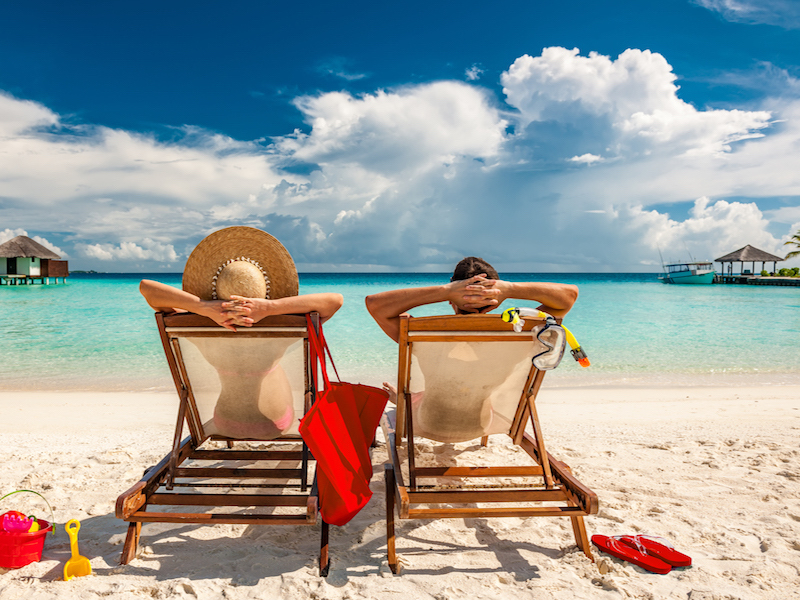 Get your hearing aids situated before you go, so you can relax and enjoy your trip. Schedule an appointment for a tune-up today.